Despite the heat and humidity we have been experiencing in Steamboat this summer, the high elevation and typically dry climate contribute to dry skin, and an increase in the appearance of wrinkles. The sun’s harsh rays promote aging in the skin and brown spots. If you don’t wear sunglasses, squinting can cause crow’s lines around the eyes. Overall, living in Steamboat, although it offers so many health benefits, can take a toll on your skin. 1. Moisturize, moisturize, moisturize. Using a daily moisturizer that works with your skin’s balance is the best way of combating the signs of aging. Moisturizers replenish your skin, help plump it and help reduce signs of aging and lines. 2. Schedule a facial once a month. 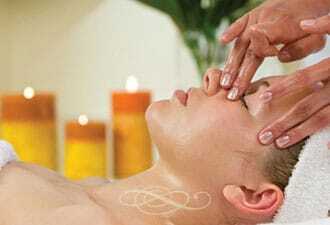 Facials aren’t just for cleansing of the skin. Facials offer several benefits including exfoliation to rid your face of dry, dead skin cells, a hydrating mask and moisturizing treatments to help promote the skin’s natural glow. At Life Essentials Day Spa we recommend our Progenerate Facial as an entry-level facial to help balance your skin and replenish health lost by Steamboat’s harsh climate. 3. For Melasma or hyper-pigmentation (the brown spots that appear from sun damage), our Collagen Facial helps lighten the skin and lower melanin production. Post care is required to maintain results. Your aesthetician will aid you in choosing the right products to help keep your skin clear. 4. Life Essential Day Spa’s Illuminating Facial is specifically designed for Steamboat’s climate. The facial addresses dehydration from weather and aging. Your aesthetician will work wonders on your face with vitamins, nutrients, hyaluronic acids and peptides. The results are plumping of the skin, minimizing wrinkles and lines and leaving your skin feeling softer and looking years younger. 5. Our Age Defying Facial and Oxygen Anti-Aging Facial utilize serums and vitamins A,C,D and E to help promote cellular renewal. Our collagen treatments ensures your skin will look visibly younger. Oxygen Anti-Aging Facials extends the treatment of the Age Defying Facial and add a serum booster of Atoxelene, a no-tox botox treatment. If you live in Steamboat, sooner or later you will see the effects of the climate on your skin. We believe prevention and routine care are the best methods to protect your skin and help keep you looking young and fresh. Call Life Essentials Day Spa to book your appointment today – 970-871-9543.